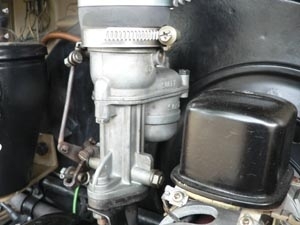 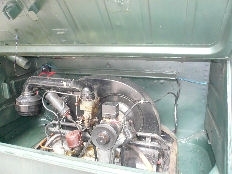 Engine: horizontally opposed HO-4 cylinder air cool 985cc ~~~~ 1131cc, 23.5hp ~~~~ 25hp. 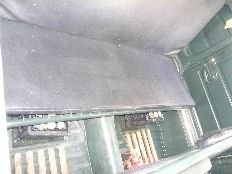 6V elec system. 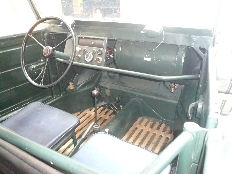 Transmission: 4 Speed manual rear wheel drive with ZF LSD & plus hub reduction. 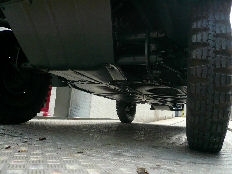 Suspension: 4 wheel independent suspension. 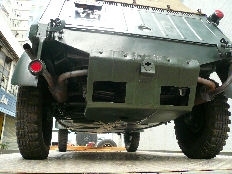 Front two transverse swing arms, single shock absorber, Rear trailing arm, single cam type hydraulic damper, torsion bar all around. 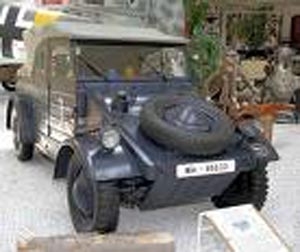 Max speed: 80 Km/h on land. 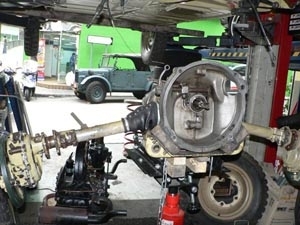 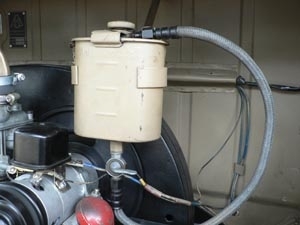 Brake system: 4 wheel Drum brake, cable control mechanic type. 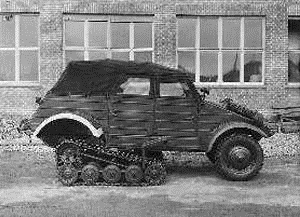 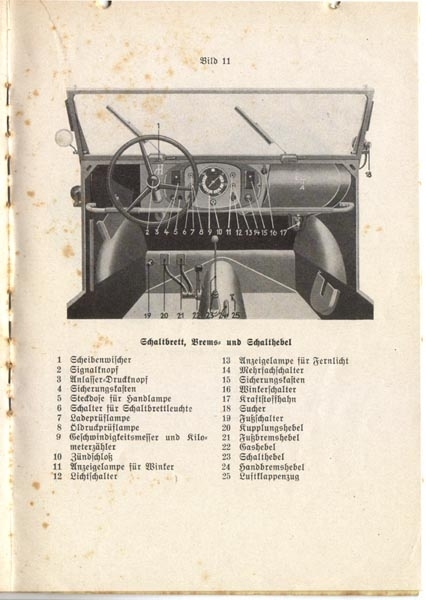 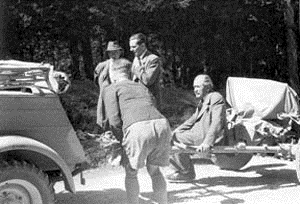 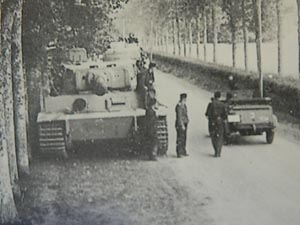 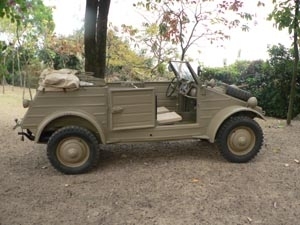 Shortly before the beginning of the WWII, Ferdinand Porsche was commissioned to develop a simple, reliable and low cost easy repair light cross-country vehicle for the Nazi army, The Stoewer R180,Hanomag B20,BMW 325 cost too much to build a such small off road vehicle, The le.gl.E Pkw. 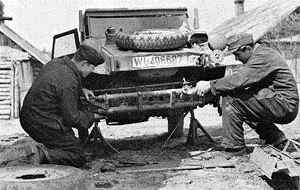 was quite complicated for repair. 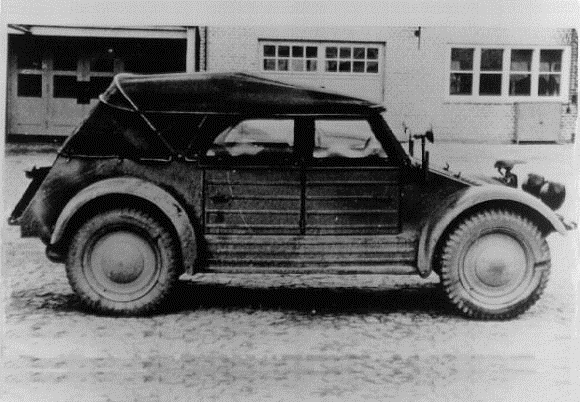 Porsche decided to adopt the construction features of the tried and tested the VW KdF wagen. 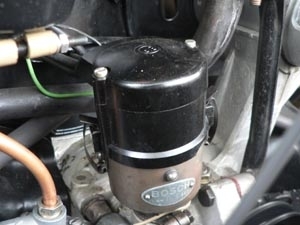 This was a very simple, very reliable, light weight rear mounted ohv 985cc air cooled boxer motor 'modern' automobile at that time. 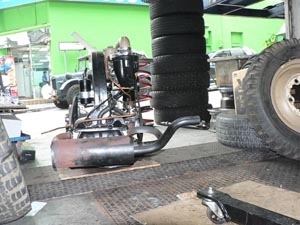 The most important is to lift the suspension through pic1reduction gears on the rear half-axle to give more ground clearance/more torque, and put a self locking diff at rear gear box. 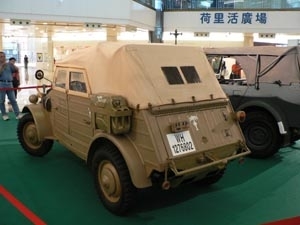 and new light weight easy to made open body to bolt on the KdF chassis, the air cooled flat 4 OHV boxer engine was also adopted with few modifications for off road use. 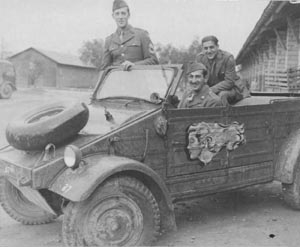 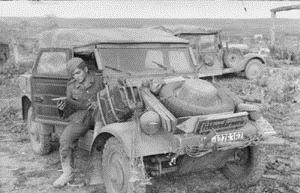 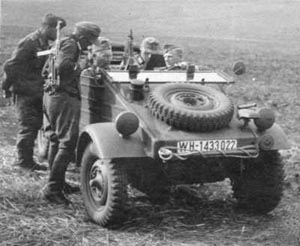 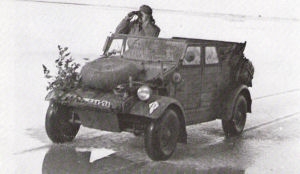 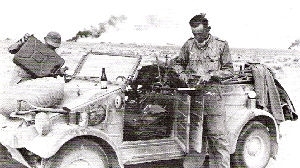 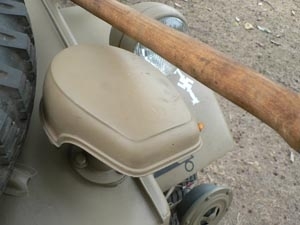 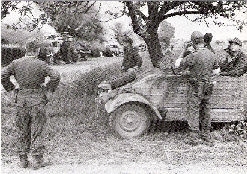 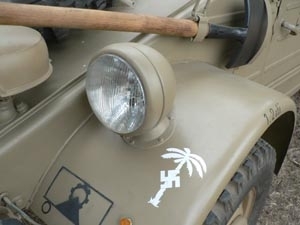 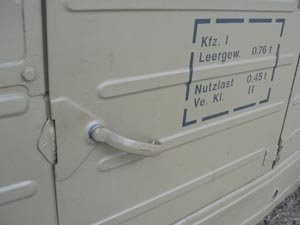 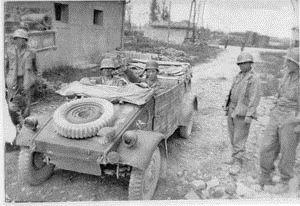 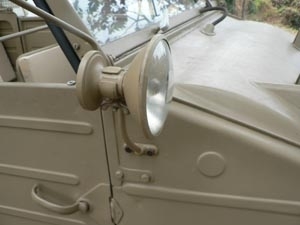 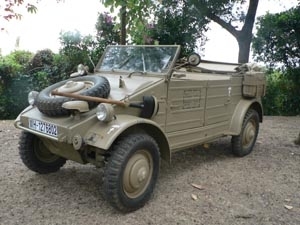 Generally know as Kubel, Kfz 1 this is a WWII Genmany armys light off road staff/command use, and also the Kfz, 2 radio and communications car. 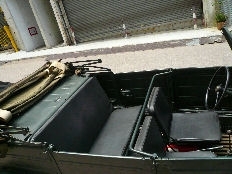 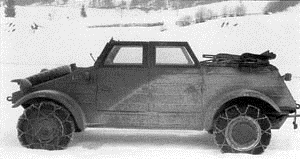 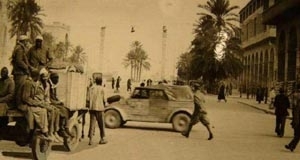 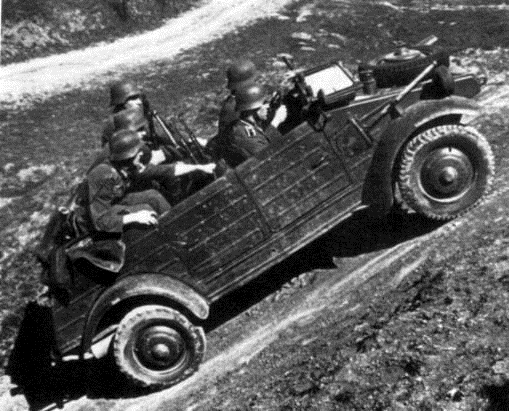 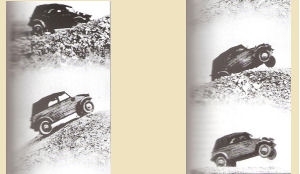 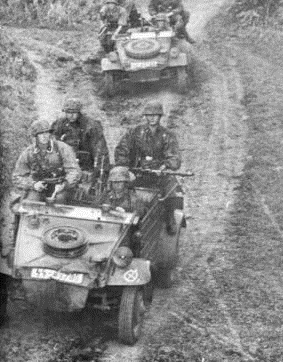 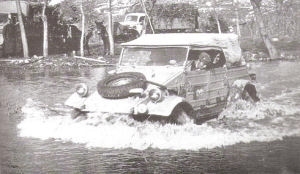 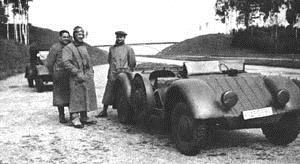 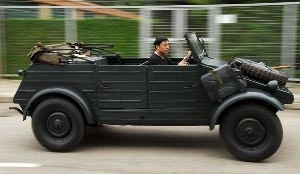 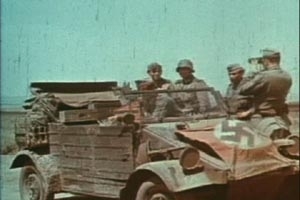 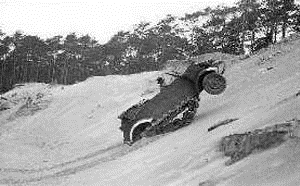 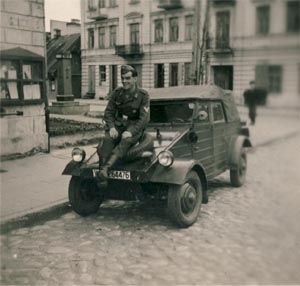 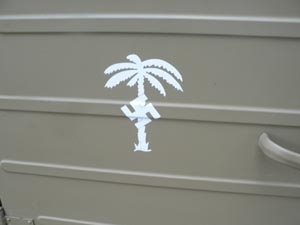 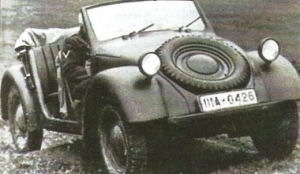 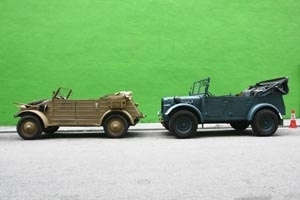 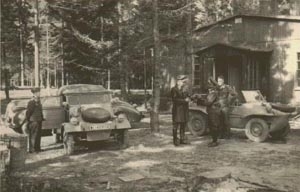 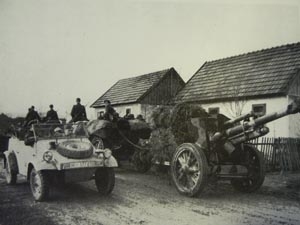 Experimental derivatives included 4X4 model, it became a prime utility vehicle of he Nazi Army practically overnight. 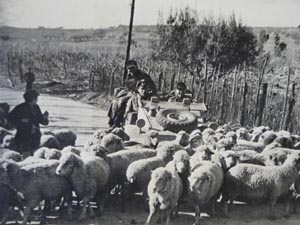 Every formation got as many of the new little machines as they could. 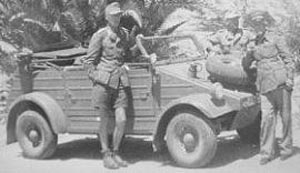 ( front axle like the type 87 with beetle pic1body and also a 82e with a Beetle body but with off road Kubel chassis ) & half track model. 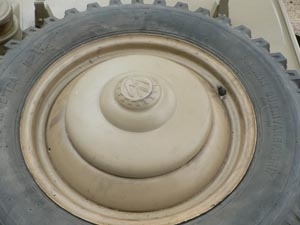 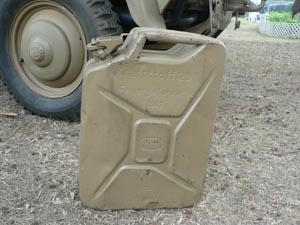 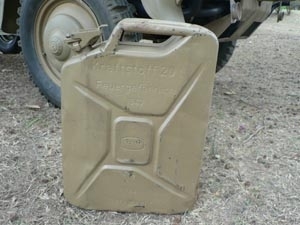 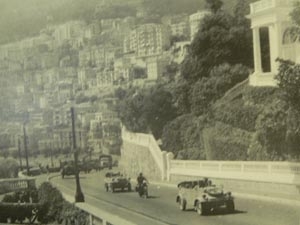 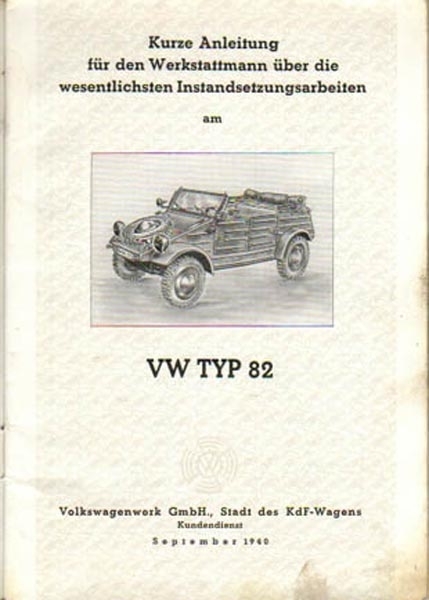 The base on the original VW 30/ VW 60 and modified by Ferdinand Porsche at 1938 as aTyp 62 model. 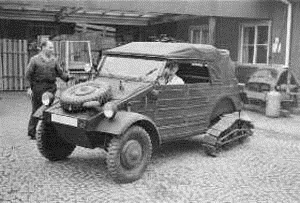 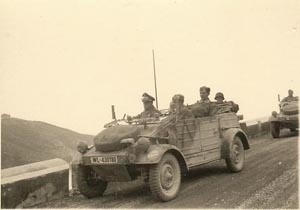 End of 1939 a lifted 80mm model Typ 82 was build for German army as a small cross - country mobility Kfz and robustiness this vehicle soon become very useful for small groups of solders use at front line, or for the commands like the 1942 US willys jeep. 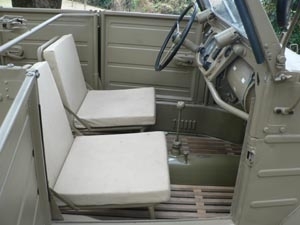 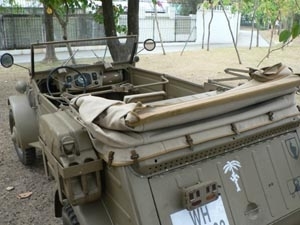 But VW82 more comfortable forpic1 5 man and with a big water proof cargo area behind the rear seat.37320 four seat Personnel car, 7545 intelligence car,3326 radio car,273 repair work shop car and some SPV been made to supply to the very hot area like North Africa, and the very cold area like Russia. 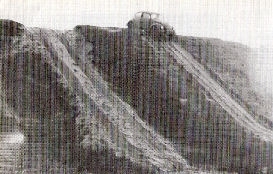 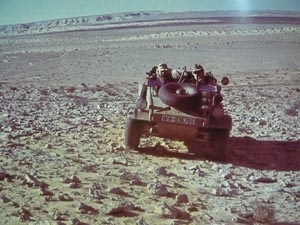 VW82 is a very simple, reliable light weight, less than 750kg off road buggy at that time. 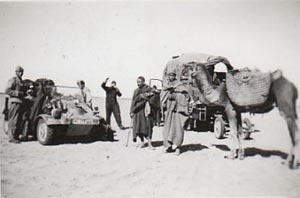 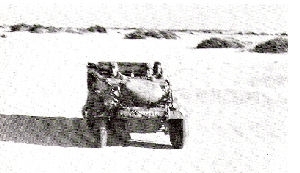 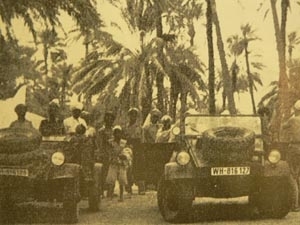 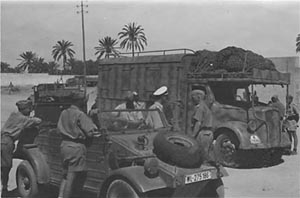 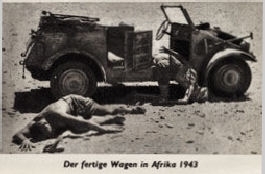 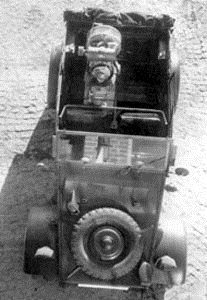 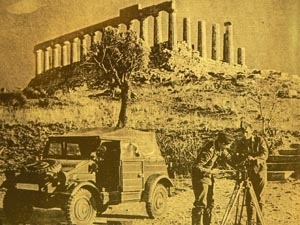 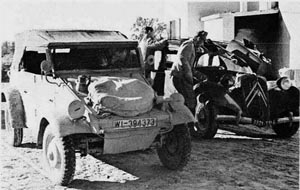 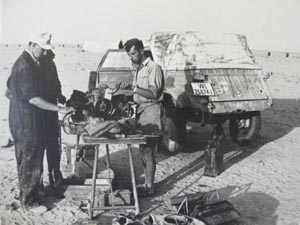 ( but today we know its gears on the half axle was not easy to repair at out door, The hub reduction mounted on the rear trailing arm was not heavy duty enough for the bottomless Afrika Desert sand and Russia mud after 5000km off road ).US Army got a report from Africa Corps workshop troops at North Africa in 1942.Volkswagen at first this vehicle gave pic1very good performance, but after 5000 km to 6000 km every possible type of trouble appeared. 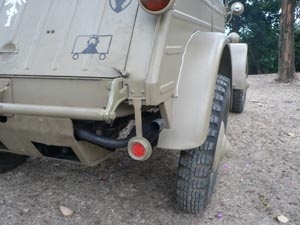 (one of my KdF collection the VW82e I try to put another heavy duty trailing arm, This parts make the KdF more strong , one day for me to round the world again.) 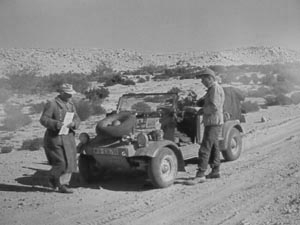 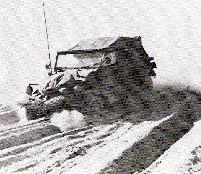 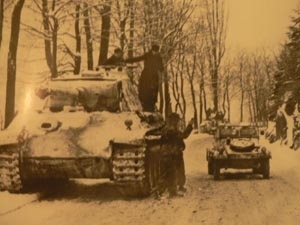 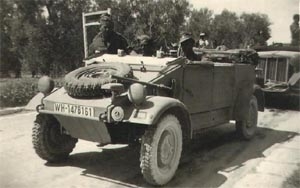 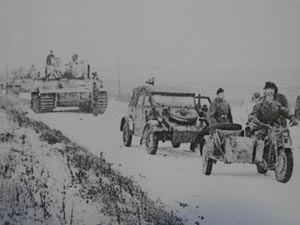 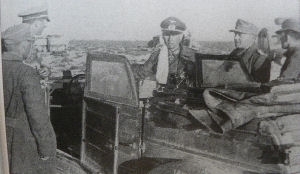 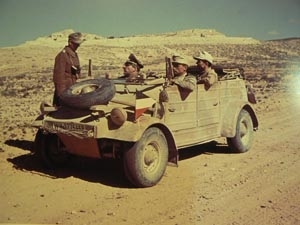 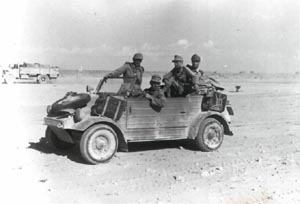 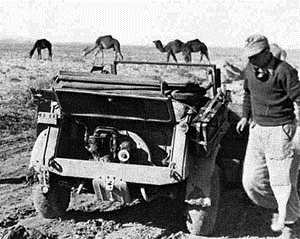 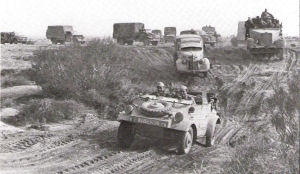 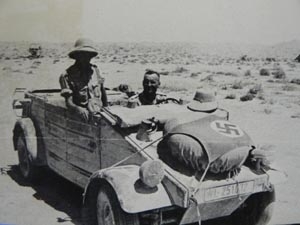 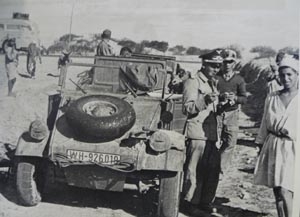 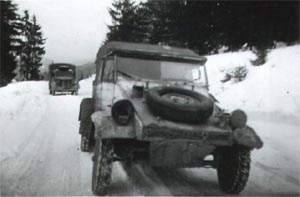 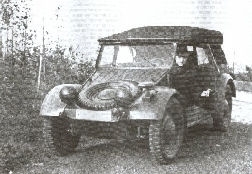 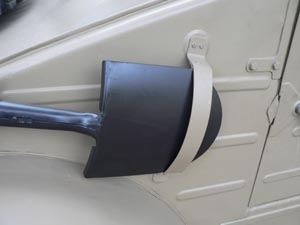 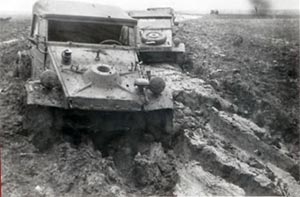 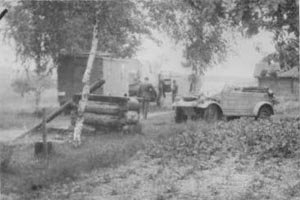 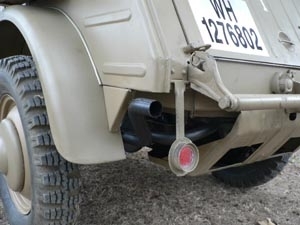 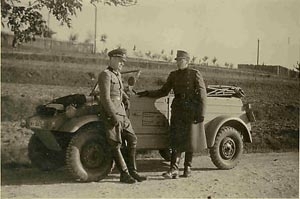 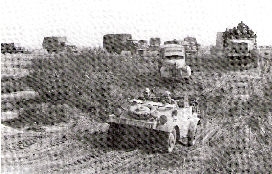 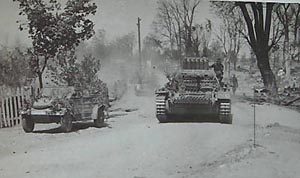 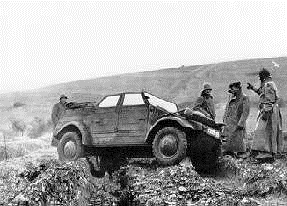 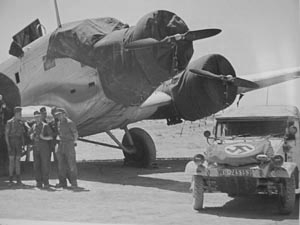 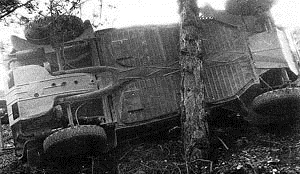 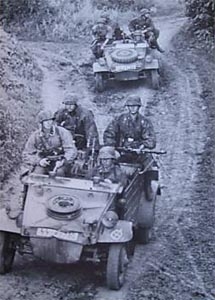 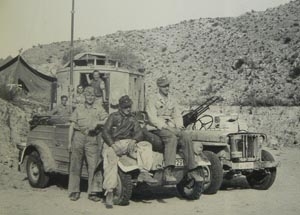 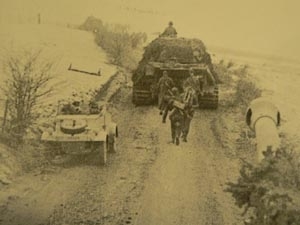 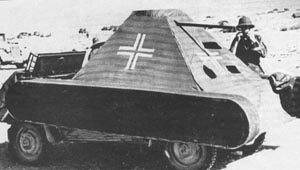 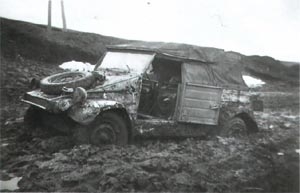 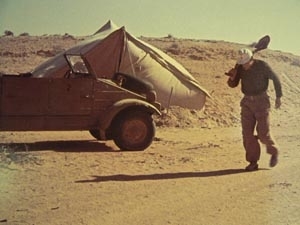 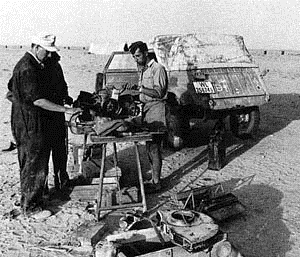 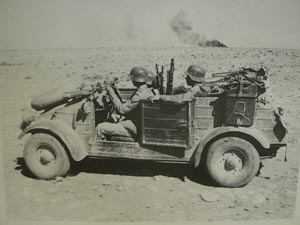 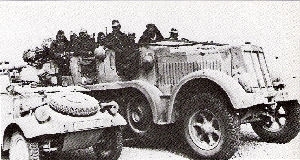 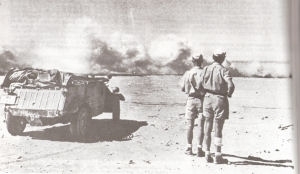 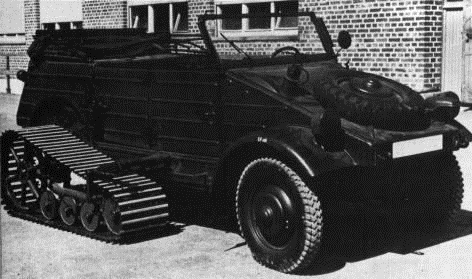 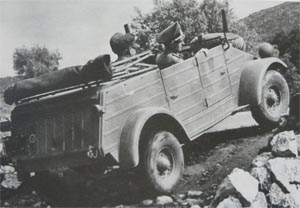 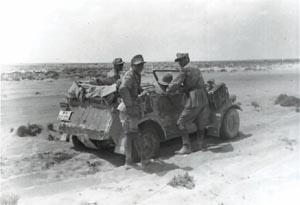 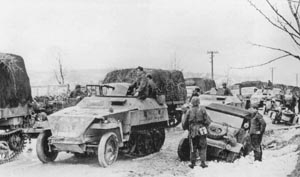 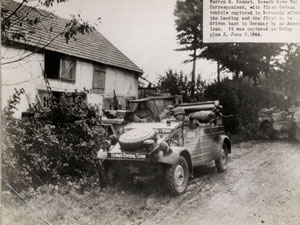 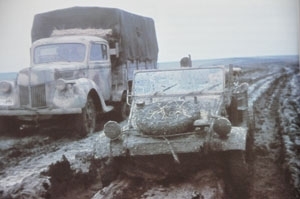 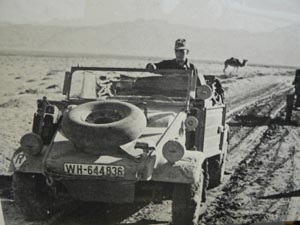 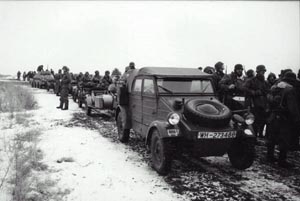 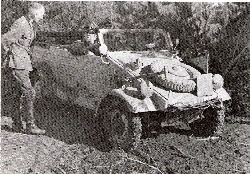 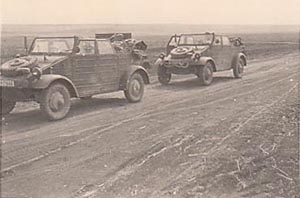 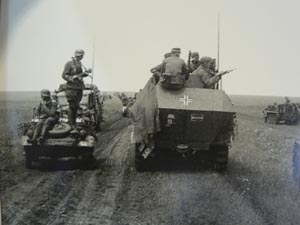 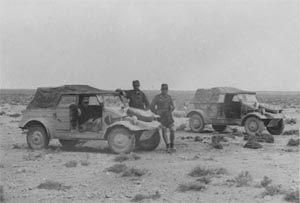 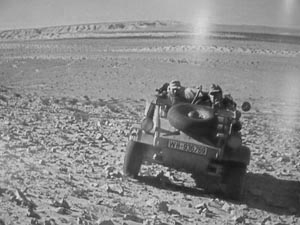 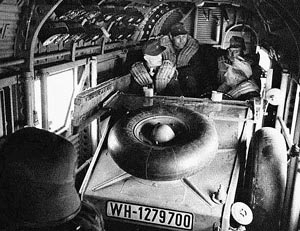 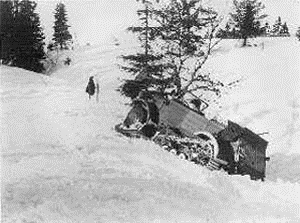 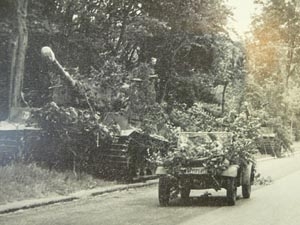 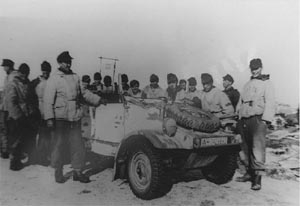 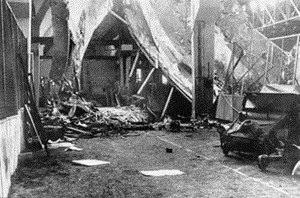 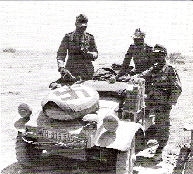 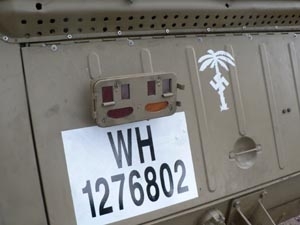 Feldmarschall Rommel also used the VW82 Kubelwagen, He told Dr Porsche that the VW82 had even saved his life when he inadvertently drove into a mine field, due to its light weight and performance at Desert. 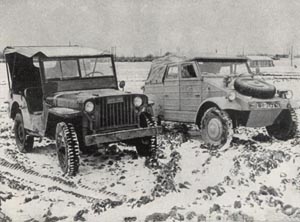 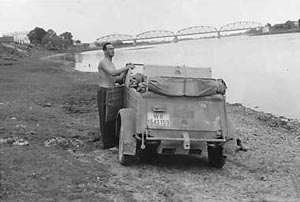 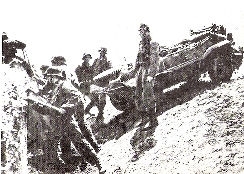 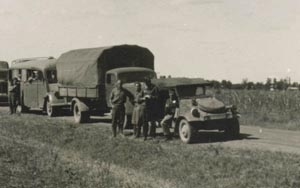 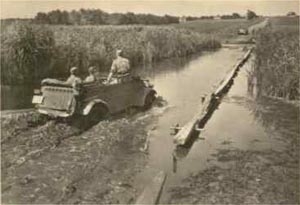 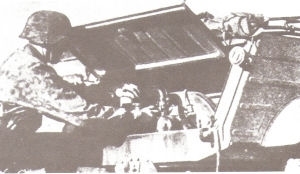 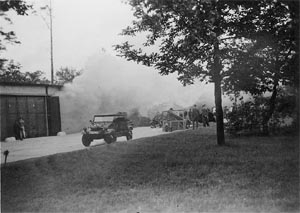 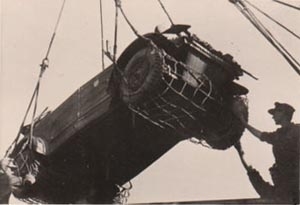 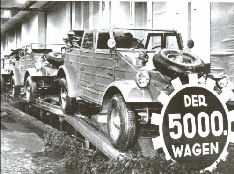 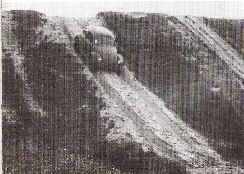 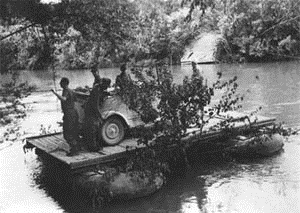 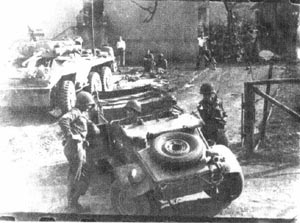 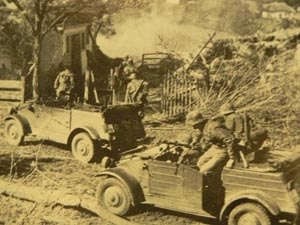 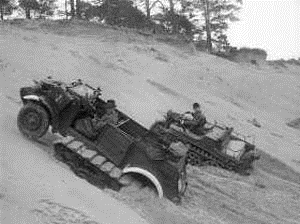 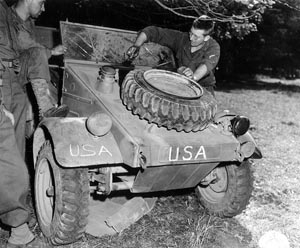 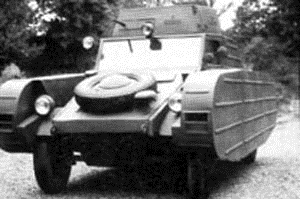 The US Army got hold of a Kubelwagen in late 1942 and tested it at Aberdeen Proving Ground. 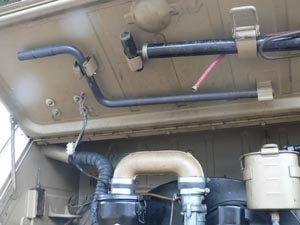 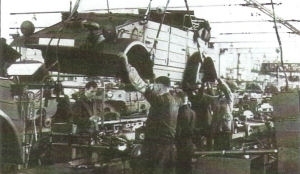 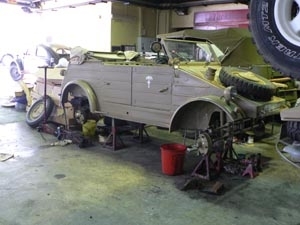 The Army automotive experts began their report withpic1 the comment that the kubel 82 was a civilian chassis fitted with a open steel body for military use, The Army automotive specialists rate the KdF design good on all important chassis components. 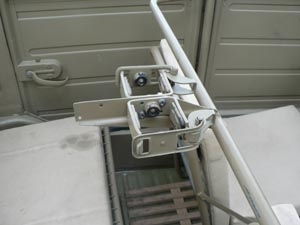 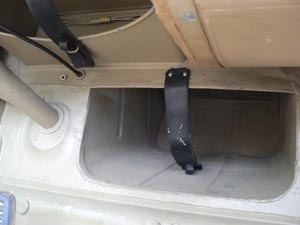 They observed the use of the best light weight alloy materials only where they were required, and the non-strategic materials used for non-critical items that was another good feature of the design. 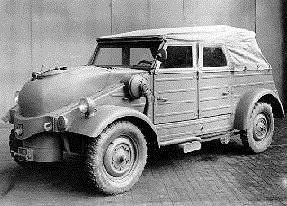 They thought the Kubel 82 s roadability excellent and it had fine handling. 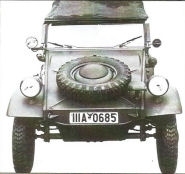 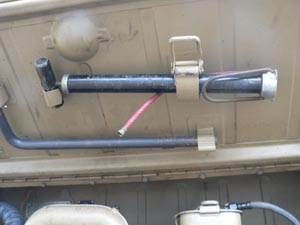 the light weight and simplicity and comfortable for 5 man with machine gun, is pic1another good point,4 wheel independent suspension and LSD positive locking differential did let it approach the off road mobility of the jeeps four wheel drive. 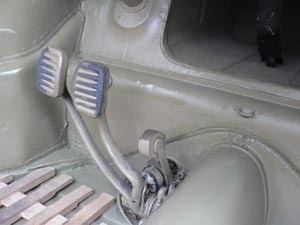 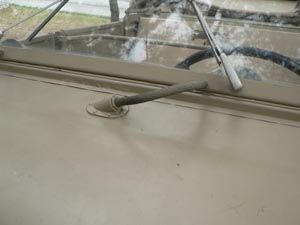 The only thing they did not like about the mechanical cable brakes. 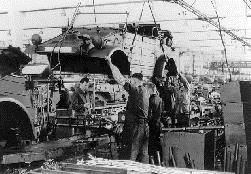 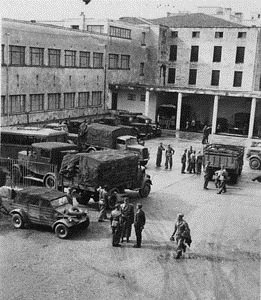 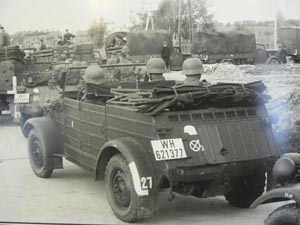 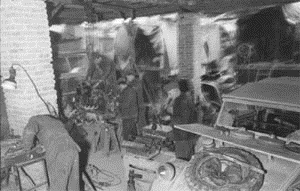 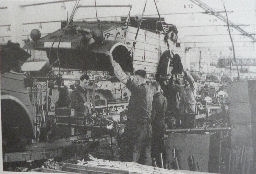 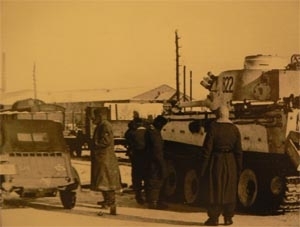 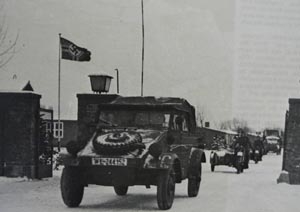 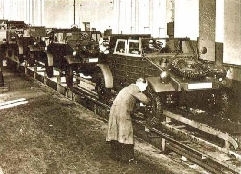 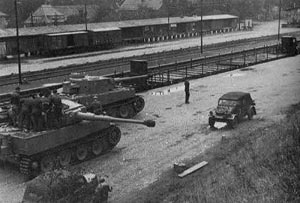 The one of our 45 made VW82 was just ready to supply to the war at April 1945, British army captured this VW82 at VW factory at Wolfsburg, with a 1131 cc boxer motor like the VW166 and VW87. 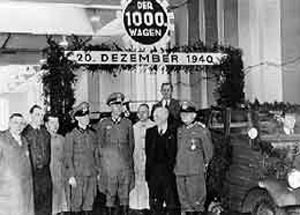 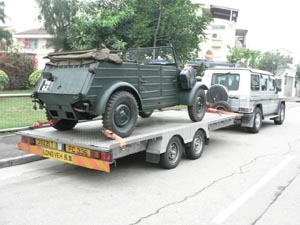 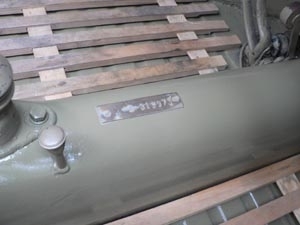 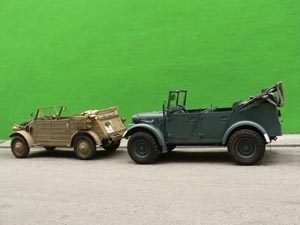 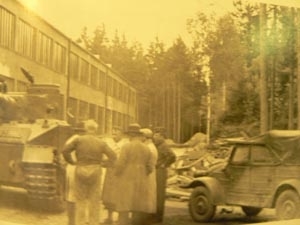 This vehicle never use by Germen force,( On June 3 VW Factory was taken over by the British.1785 vehicle been build, 802 unit is a Kubelwagens chassis off road KdF/ Beetle model, They use remaining parts to build 802 unit of war time German jeep,pic1But now use by British force, this is type 51 and 2 are 4wd model, like the 87 but with a tube bumper, it is from a British off road car. 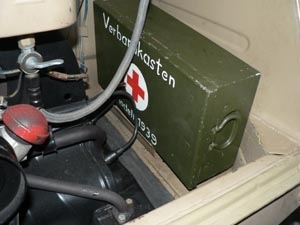 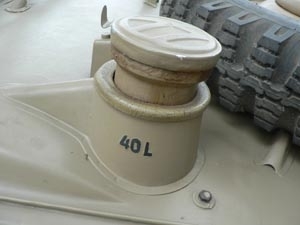 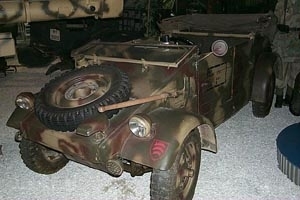 one use by French Army, unfortunately it lost and one now at the Factory museum in Wolfsburg.) 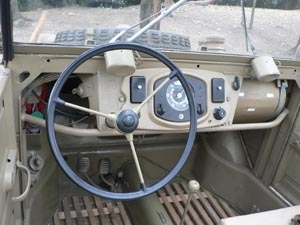 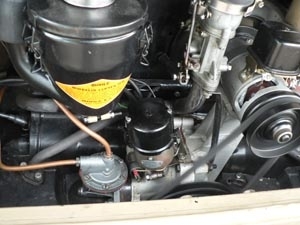 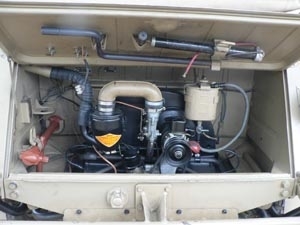 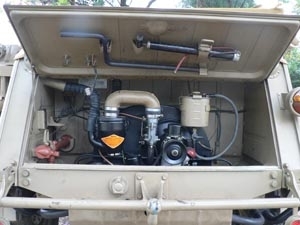 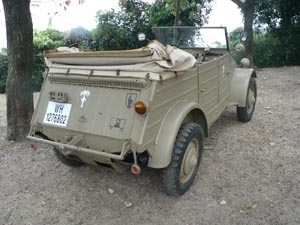 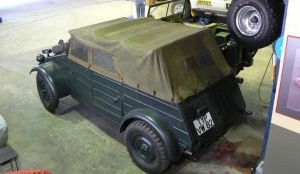 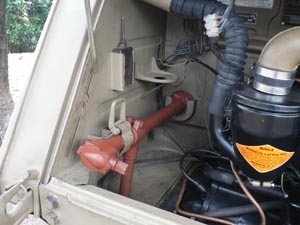 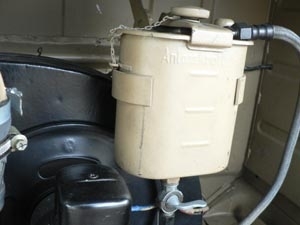 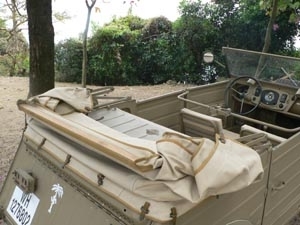 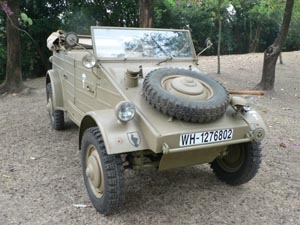 We also have another 1943 made Afrika-Korps VW82,This very nice ground up rebuild VW 82 Kubel it was Rebuild by Karl in UK, this car take 5 year to rebuild, This vehicle use at Eastern Front at WWII, This vehicle over 90% original KdFparts been use for this car.25hp Engine just rebuilt. 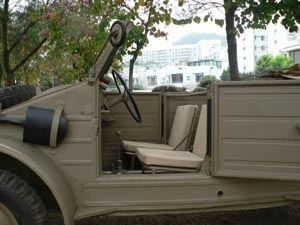 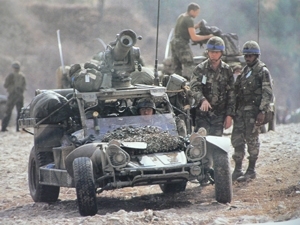 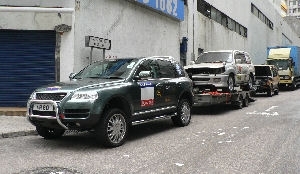 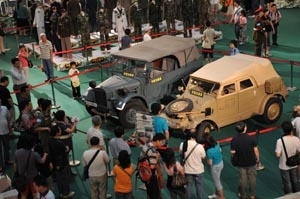 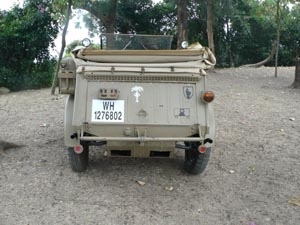 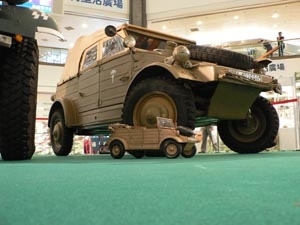 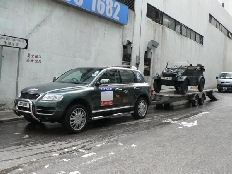 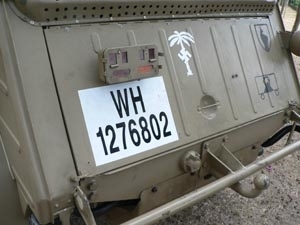 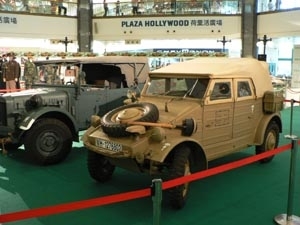 This car just arrived HK at Sept 2007.The Kubelwagen was pic1the most success Buggy in the world, At 80s US Army use civilian beetles axle, gear box to build some fast attack vehicle use at Middle East, Today middle east army use a lot of this WWII type buggy at desert. 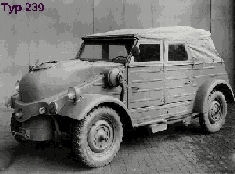 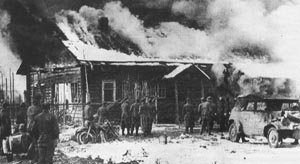 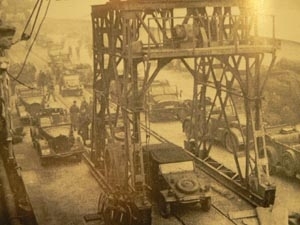 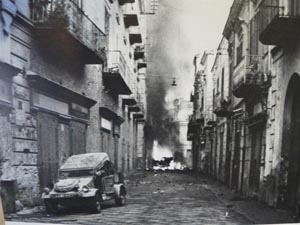 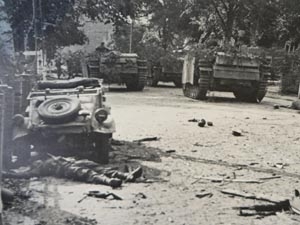 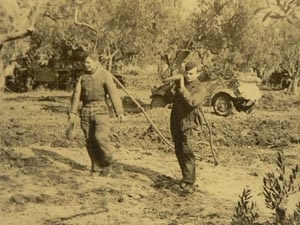 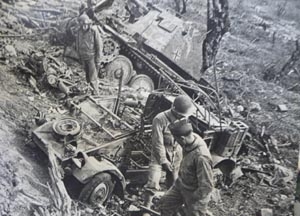 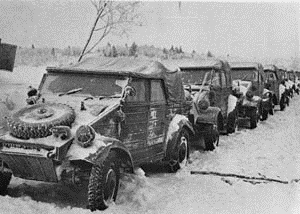 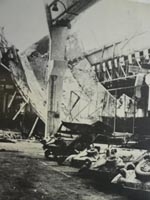 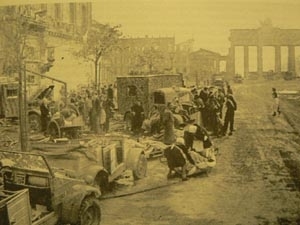 As only handful 82e and handful 87 been made and most are send to Afrika-Korps and SS Kommandeurwagen units most of them destroyed by the end of the war, only very few survive but most of them go to junkyard at end of 40s and 50s. 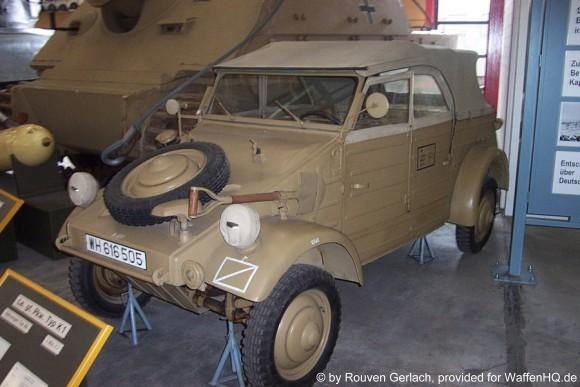 Today one Type 87 training chassis is in the Porsche Museum at Gmund Carinthia. 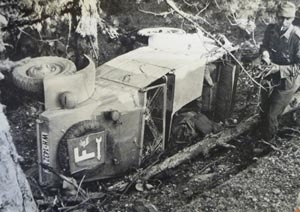 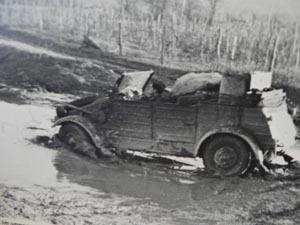 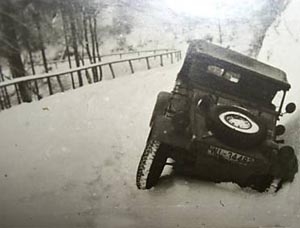 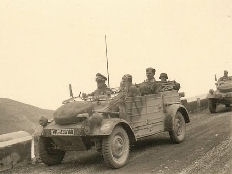 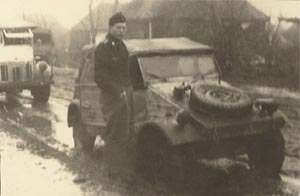 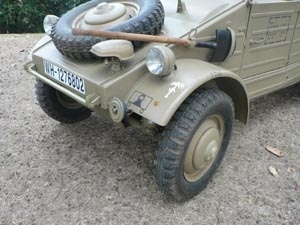 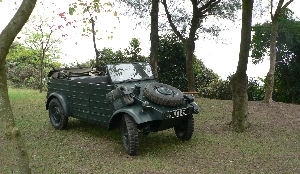 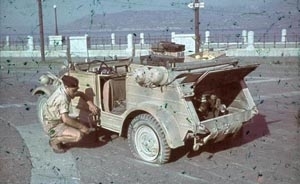 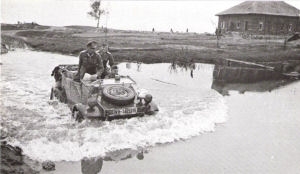 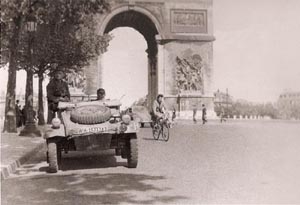 most of the war time off road KdF was rebuild in original chassis but with a early 1946-52 body, We also got a 1943 82e with a non original off road axle ,pic1 the car is from German, we will try to put a original axle to this car at next year.) 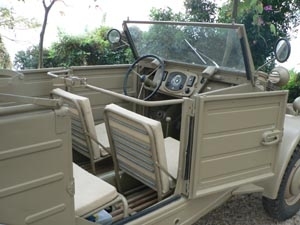 unit end of 50's this VW82 gone to the UK private Civillan market this car been rebuild by a VW 82 Civillan collector Mr Karl at 2003 in UK and ship to HK at 2006. if you have any Kdf parts for Kdf VW60, VW82, VW82e, VW87 or VW166, just email us. 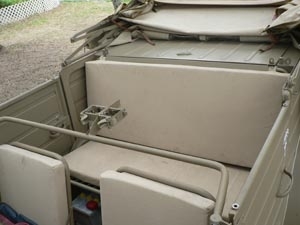 We need any Kdf parts or a complete VW87 or chassis. 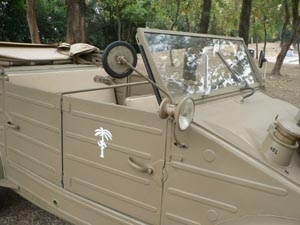 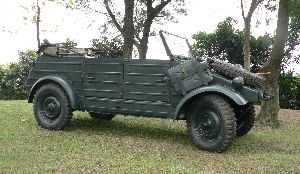 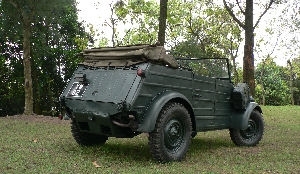 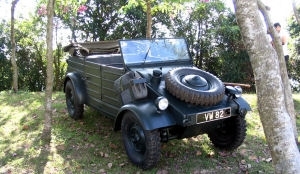 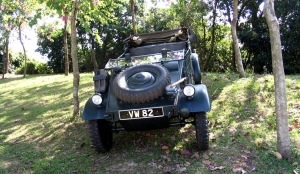 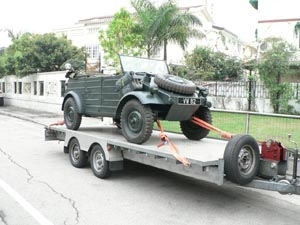 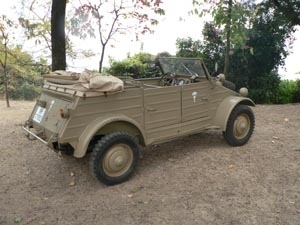 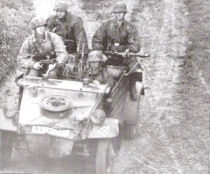 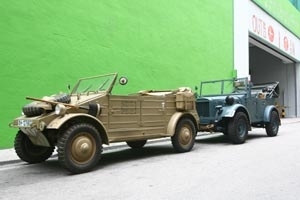 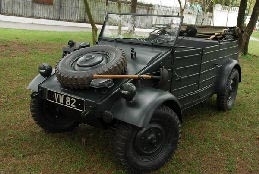 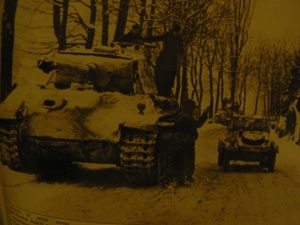 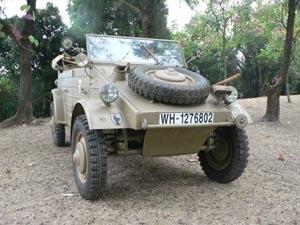 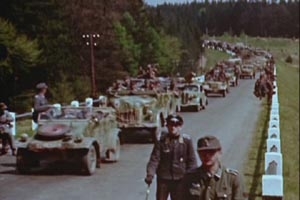 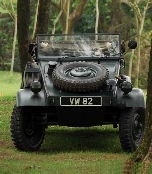 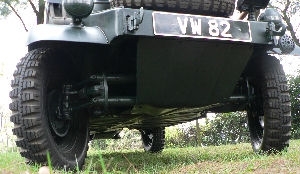 ( if you like to collect a WWII German Vehicle, this VW 82 is the best model, try this web at www.tankmodel.com or e mail me at wwiivehicle@yahoo.com ) Today a lot of replica in USA but without war time history, without 80 mm lift and self locking differential for off road performance.